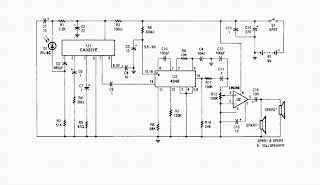 This is example circuit of Wireless IR headphone receiver. 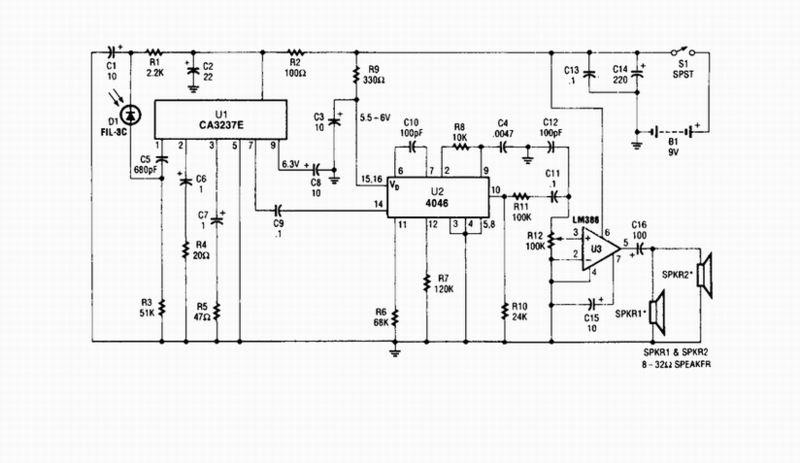 A photodiode Dl feeds high gain IR remote control preamp 1C, a CA3237E. U2 is a PLL FM detector tuned to around 100 kHz. The detector output is amplified by U3 and it can drive a speaker or a set of headphones.